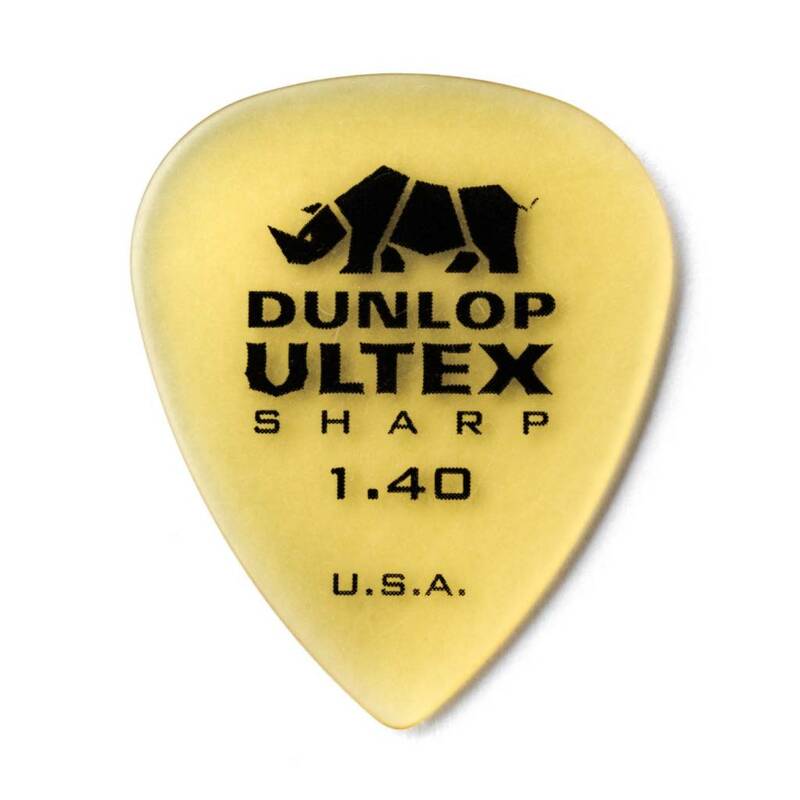 Based off of a coveted vintage tortoiseshell pick in the Dunlop collection, the Ultex Sharp guitar pick has a rigid body tapering into a thinner and sculpted tip for enhanced control and speed. The seamless contoured edge surrounds the pick for more playing surfaces and tones. Engineered of Ultex-the Dunlop Ultex Sharp is virtually indestructible and delivers a crisp tone with quick release attack. Available in .73, .90, 1.0, 1.14, 1.40, and 2.0mm gauges.